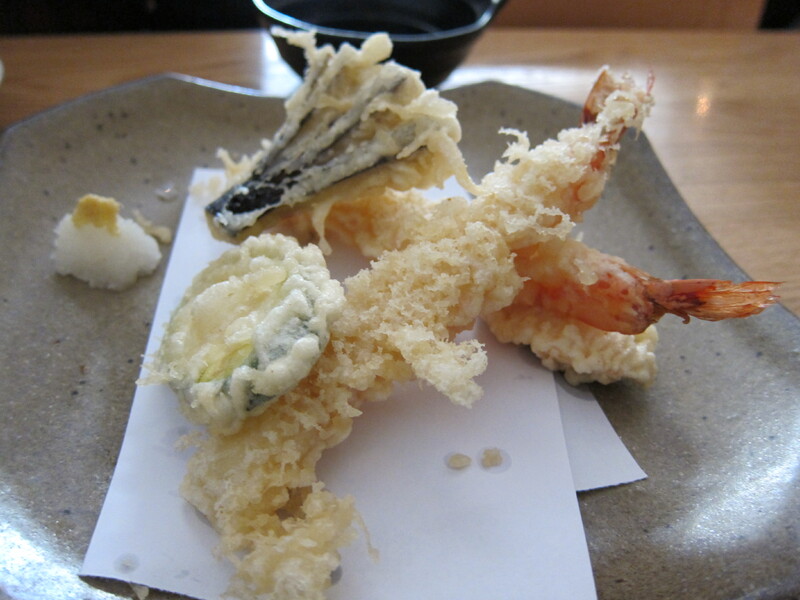 Japanese (London) – Simply foodolicious! おいしい! 好吃! 맛있는! délicieux! delicioso! 好食! 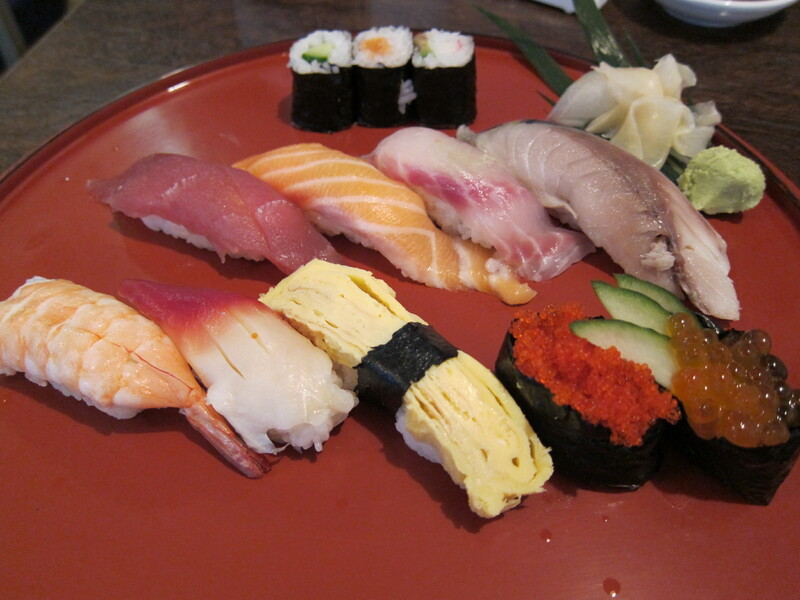 Sushi was pretty much like what you would expect from a good but not extremely excellent Japanese restaurant. 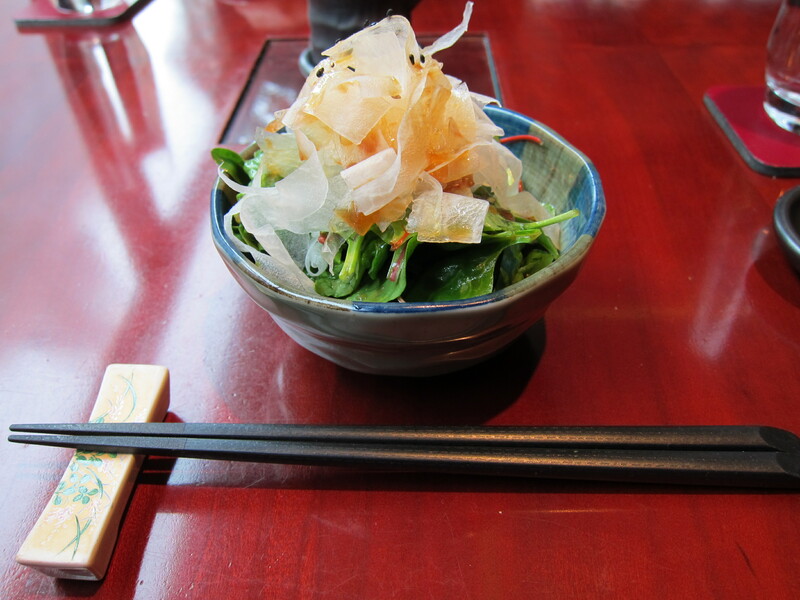 Round and fat pearl rice that is well marinated with mirin together with fresh sashimi will give you quite a good sushi and that’s what chisou serves. 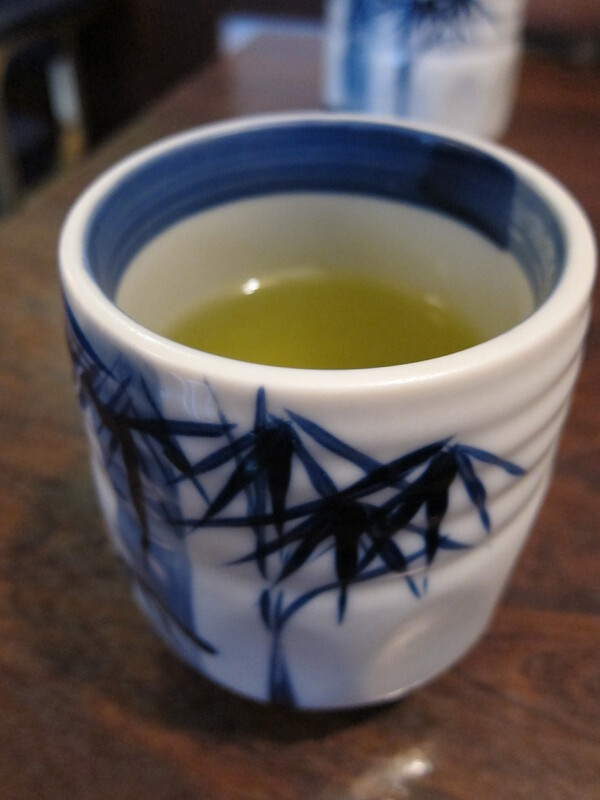 Really fragrant green tea with a little charred fragrance. Tea cup is very beautiful too but I thought it was quite stingy of them to only provide it once, esp when we had to pay for it. Thought green tea is usually either free or you can top up as many times as you want if it has to be paid for. 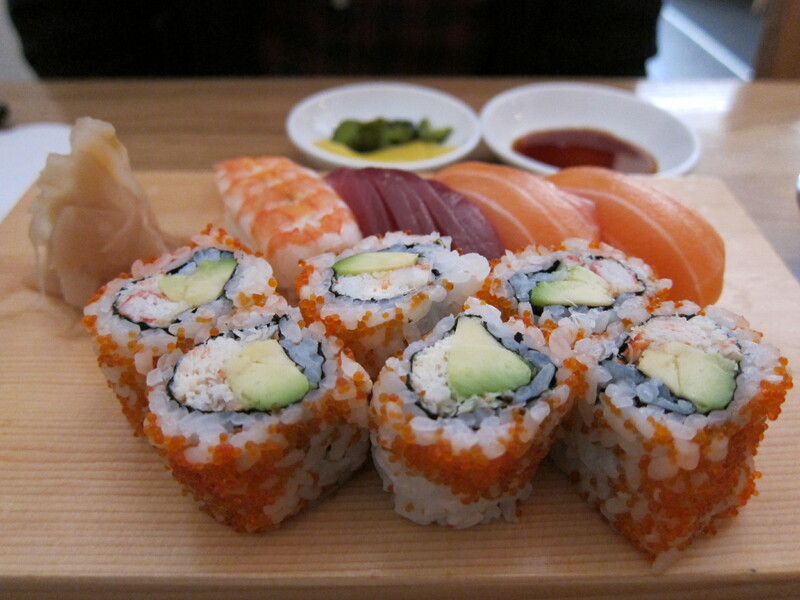 Sushi is of course better than what you get at the chains in London but that is kinda expected. Not exceptional and not as good as atariya but still not bad. There is one with a huge piece of fish on it and thought that was quite humongous. 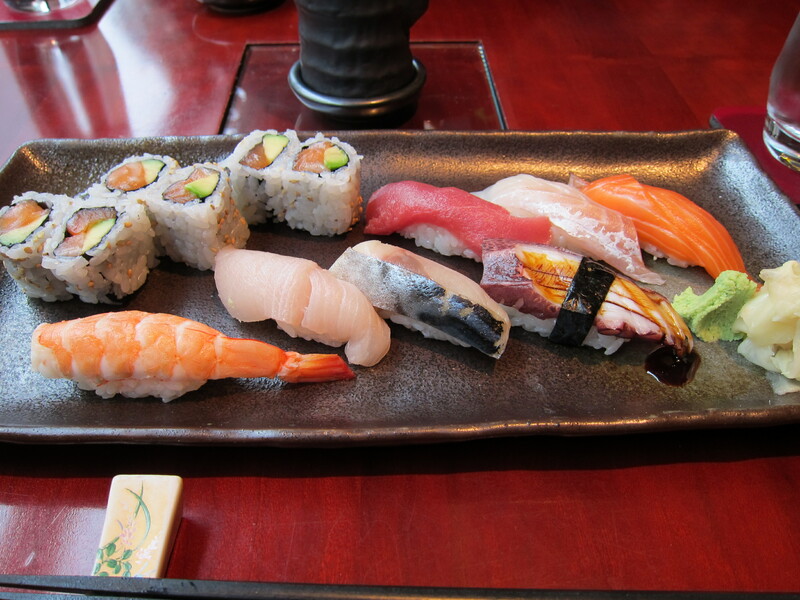 The chef also puts some wasabi in the rice already and thats what pro Japanese chef does in Japan. Sashimi is fresh at least. Teriyaki chicken felt so home cooked actually. For the price of about 7 pounds, this is really quite a good deal. Chicken is tender with some oily bits. The only thing that I didn’t like too much is that there seems to be teriyaki overdose and therefore making it a little too sweet than usual. Nasu dengaku was again a little too sweet. 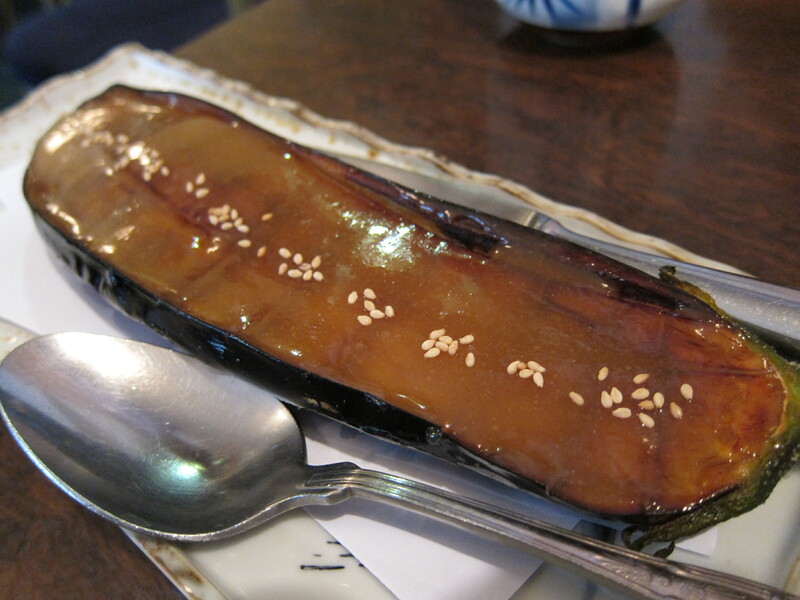 i thought it should be salty due to the miso taste but it was sweet at the same time. Still palatable but i think the sweetness was a little artificial I thought. Maybe sugar was added. After having read relatively good reviews about Waka Sushi, I decided to try it and could only come to the conclusion that this Japanese restaurant loves its food sweet. If everything could be a little less sweet, I may have enjoyed it better. The chicken could be a little more well grilled. Also had the toriyaki and thought it felt a little microwaved with loads of sweet sauce once again. 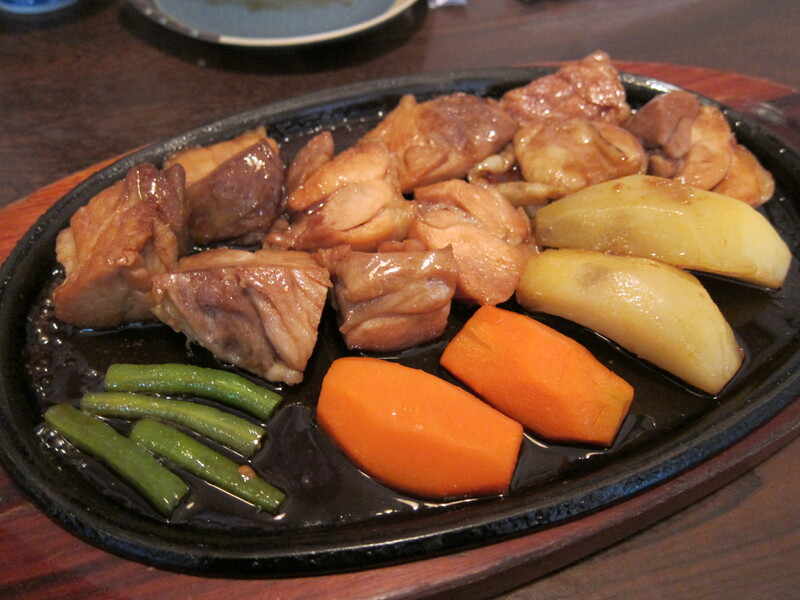 Even though chicken texture was good and tender, it does not give people the impression that it has been well grilled or grilled at all. A relatively inexpensive place to have Japanese meal, but if given a choice I would prefer going to Asakusa which is just one staion before Camden Town at Mornington Crescent. 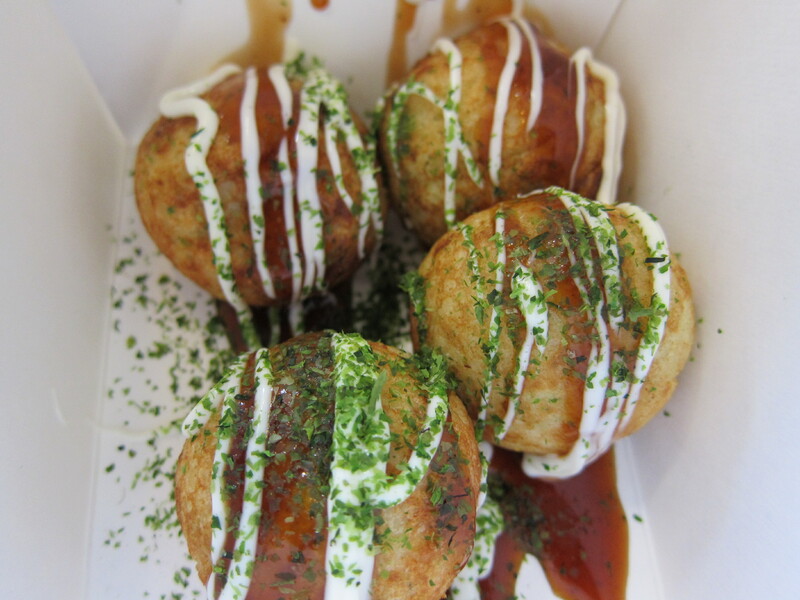 Takoyaki that had too much dough and too little octopus meat. Didn’t expect it to be impressive as they made it downstairs and don’t see them with the special machine to make these balls. 2.30 pounds. Very good tai yaki. Batter wasn’t too sweet at all and was nicely made with some parts a little more crispy. The starchy texture makes it quite chewy too. 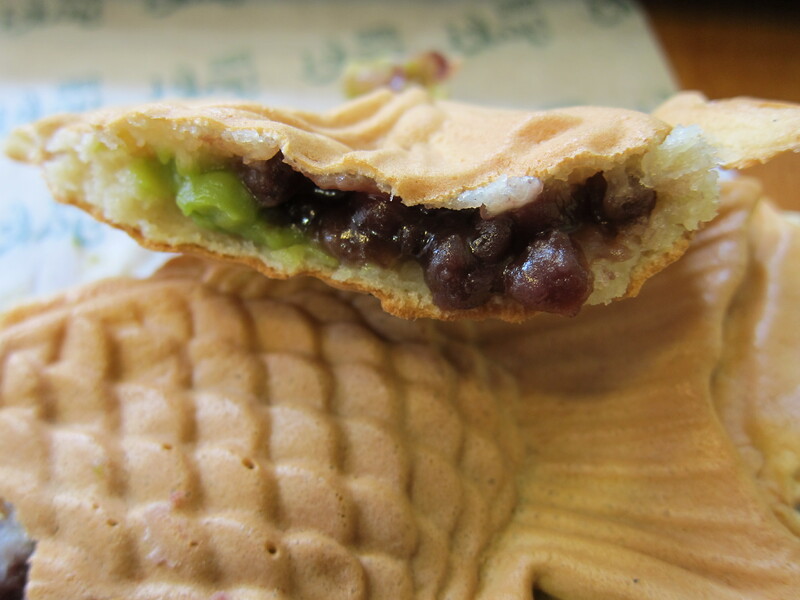 Ordered one with green tea and red bean in it and one with green tea and white chocolate. Perfect combinations and they really make very good desserts. 1.90 pounds each. 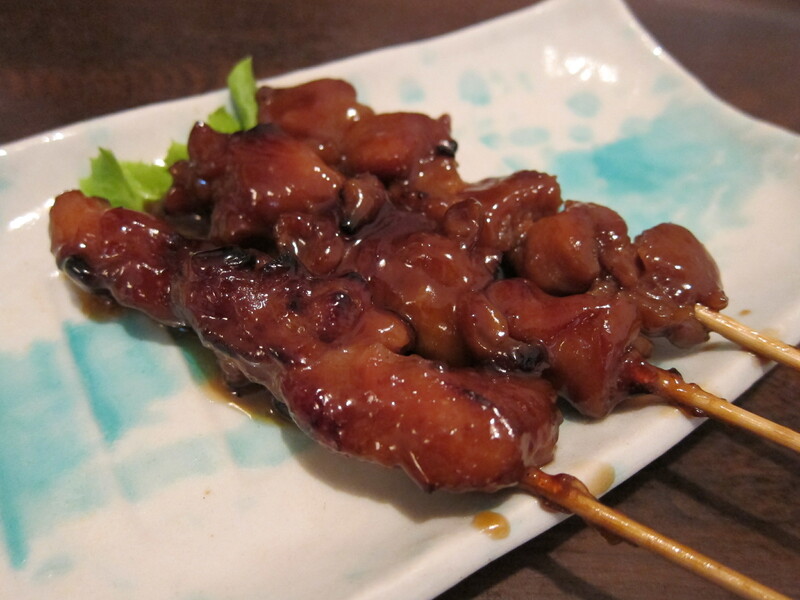 Yaki cafe is a Japanese cafe that serves southern Japanese food like okonomiyaki, takoyaki and tai yaki. There aren’t many restaurants that serve this kinda Japanese cuisine in London and actually are not that good (even in Singapore). Judging from the takoyaki served in this restaurant, I don’t think that the okonomiyaki would be good as the way of cooking is quite similar for both. 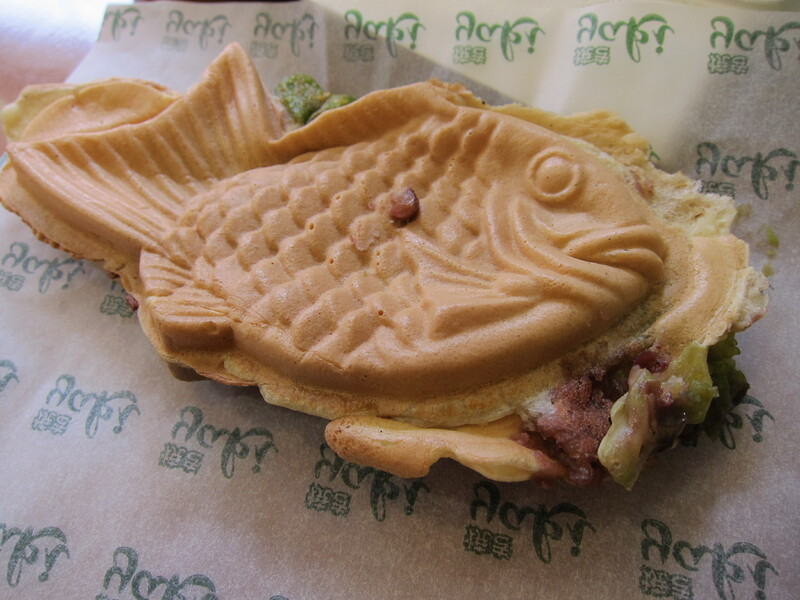 However, the tai yaki was really delectable I felt and is worth repeated visits. Like how reasonable their prices are even though they may be the only few who make this here.